Travelers who are also country counters always look for ways to maximize their travel time and visit more than one place per trip. Although traveling longer is the most obvious answer, sometimes traveling smarter also does the trick. Knowing special routings and which frequent-flyer miles to use where can help you maximize that time on the ground. Of course, it’s possible to check off several countries on every trip to Europe or Asia, but what if not all countries you want to visit have land borders? For example, the Caribbean encompasses about a dozen countries and even more territories, and it’s not that simple to visit many islands on the same trip, unless you take a cruise. Fortunately, travelers who want to maximize their miles can visit at least two islands on the same trip by taking advantage of the fifth freedom flights operated by British Airways. We’ve covered some popular fifth freedom flights and routings before. As a reminder, a flight originating in country No. 1 and landing in country No. 2 by means of a country No. 3 falls under the rule. For example, a flight operated by British Airways from London to Saint Lucia moves on to Grenada after making a one-hour stop. Saint Lucia and Grenada are different countries, so the route is considered a fifth freedom route. Passengers can book the final leg of the journey between the islands using either cash or miles. For US-based travelers, Caribbean vacations are popular during winter months. To take advantage of the fifth freedom routes, you must book an open-jaw flight into one city and out of the other. In this case, you can stay on two islands on the same trip. To maximize your miles, I recommend using AAdvantage miles earned with American Airlines. The program requires just 30,000 miles for a round-trip flight from the US to the Caribbean at the MileSAAver level on peak dates. 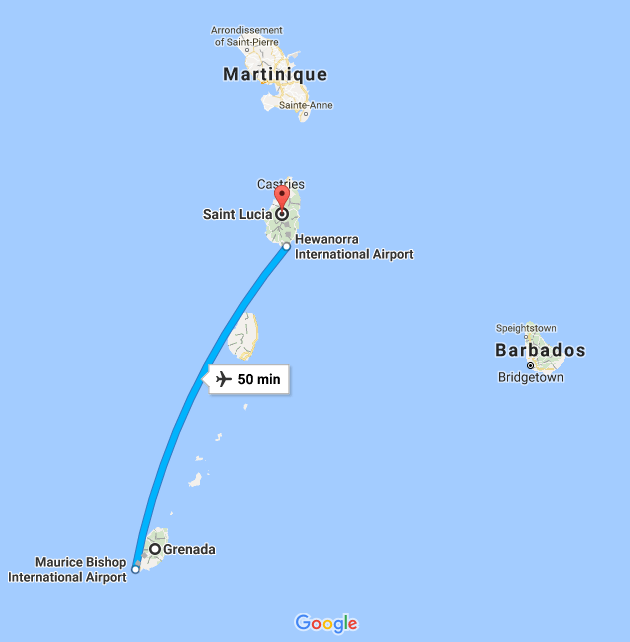 In this example, I searched for flights between Phoenix and Hewanorra International Airport in Saint Lucia (UVF) on Jan. 30. 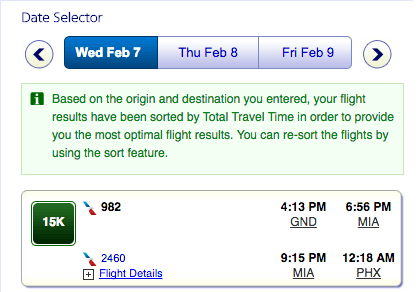 The flight has one layover in Miami, but your routing could be different. If you have miles with other domestic programs, you can use 35,000 Delta SkyMiles or 35,000 United MileagePlus miles to book a round-trip flight to the Caribbean, but the redemption rates are slightly higher than with AAdvantage miles. Spend several days on Saint Lucia, go reef diving, hike the Pitons and enjoy the island’s volcanic beaches. Then take a British Airways-operated 50-minute flight to Maurice Bishop International Airport in Grenada (GND), bookable for just 4,000 Avios on off-peak dates or 4,500 Avios on peak dates. 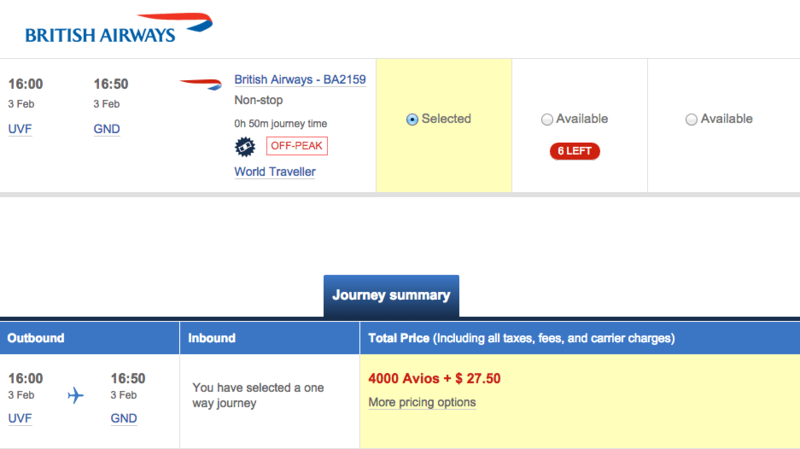 British Airways uses a distance-based award program, which is why the cost in miles is so low. Business class requires 7,750 Avios on off-peak dates and 9,000 Avios on peak dates, but because the flight is rather quick, I recommend saving your miles and flying in economy. If you’re short on Avios, you can transfer Chase Ultimate Rewards points and American Express Membership Rewards points to British Airways at a 1-to-1 ratio. Tip: Membership Rewards program is offering a 40-percent bonus on point transfers to Avios through Sept. 17. Transferring 3,000 MR points will result in 4,200 Avios — enough to book a one-way short-haul flight between two Caribbean islands on off-peak dates. Note that BA doesn’t fly this specific route daily. You will have to plan outbound and return dates in such a way that will give you enough days on each island, depending on the length of your vacation. For example, BA operates flights from Saint Lucia to Grenada on Wednesdays and Sundays. I found availability for Feb. 3. There might not always be availability for legs from the US, either, so you might have to be flexible with those dates as well. Spend several days in Grenada, also known as the Spice Isle. Dive in the Underwater Sculpture Park, hike to the Seven Sisters Falls, visit a nutmeg plantation or veg out on the beach. Then fly back to Phoenix, or any other U.S. city, using AAdvantage miles for the best value. 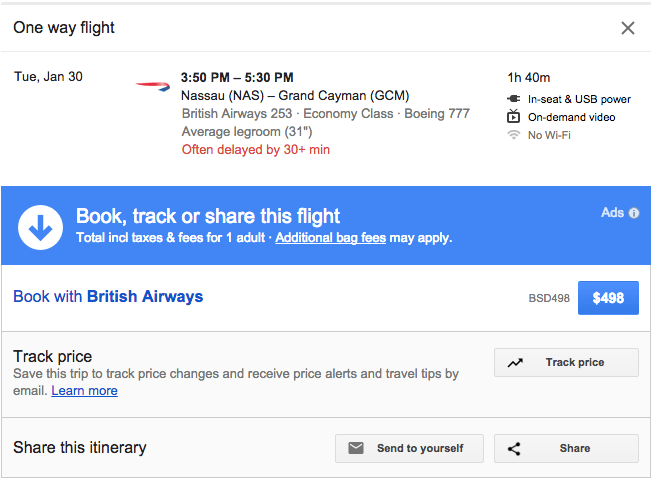 Flights between Nassau and Grand Cayman are especially lucrative when booked with Avios. A one-way flight between the two costs about $500, and using just 4,000 Avios to book it is a steal. And because you booked open-jaw flights from and back to the U.S., you don’t have to go back to Nassau. Flying short-haul flights in the same geographical area can fill in the gaps on the map and offer you more bang for your vacation days. Award travel constantly surprises me with possible routings and redemption charts. Fortunately, there’s always a way to get good value from your miles. Familiarizing yourself with how loyalty programs work and their strengths is key to booking successful award flights. Caribbean is a pretty large region for passport stamp collectors. Luckily with this strategy you can maximize your reward miles and tick an extra country or two off your bucket list.